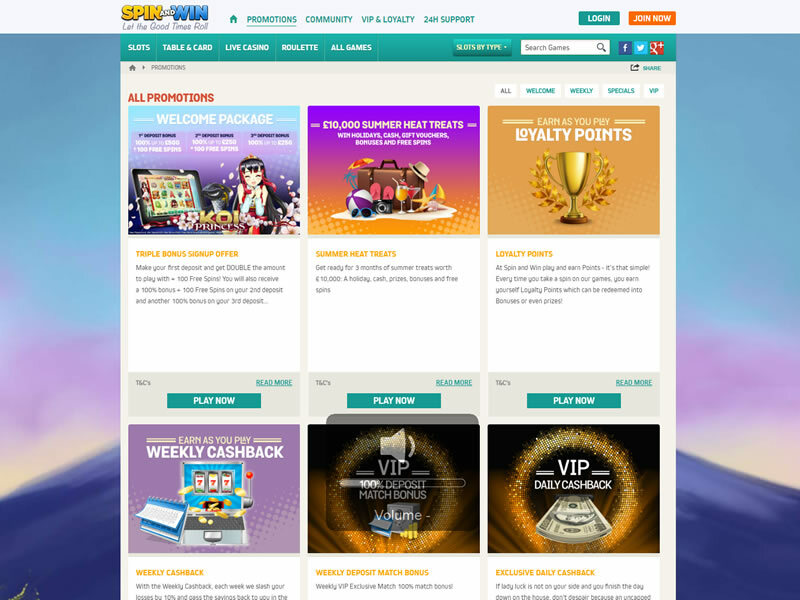 Spin And Win is a brand news slots & gaming site. It offers a huge range of your favourite slot games, a massive no deposit bonus, free scratch cards, promotions and a whole lot more. It aims to bridge the gap between softer gaming like bingo and the casino sites. Max BonusBack: Ruby £500, Gold £200. Max Convertible amount: Ruby £1,000, Gold £500. Exp 7 days. 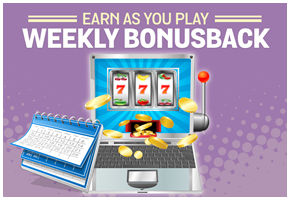 At Spin and Win play and earn Points – it’s that simple! 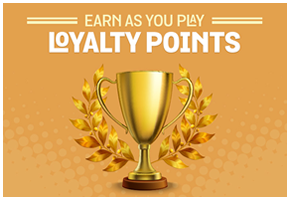 Every time you take a spin on our games, you earn yourself Loyalty Points which can be redeemed into Bonuses or even prizes! Points credited on following day. Awarded on real money bets only. Exchangeable at rate 1,000 points = £1. 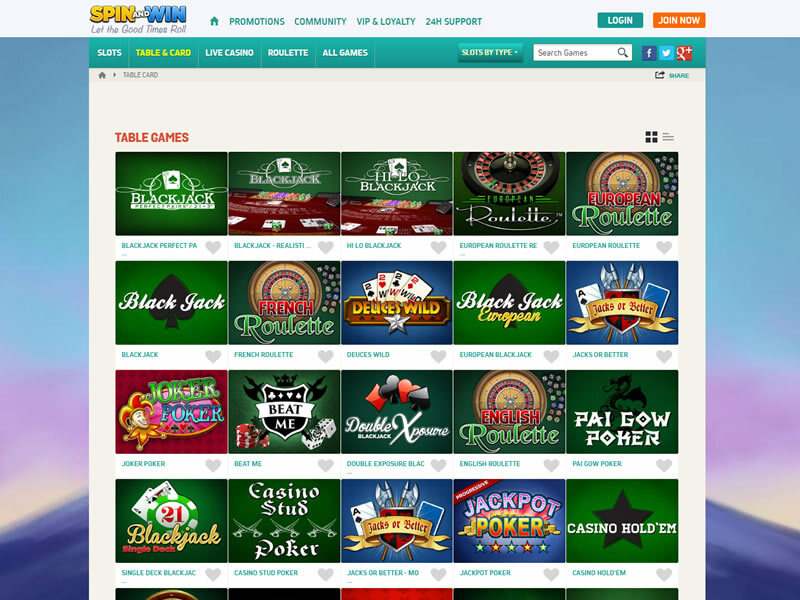 Spin and Win Casino is a modern online casino with a convenient instant play layout. They are powered by a multitude of software providers including Blue Gem Gaming, IGT (WagerWorks), NetEnt, and Microgaming Quickfire among others. At the current time Spin and Win have a very good reputation within the industry and no complaints at any of the major player information resources. Their site features a white, turquoise and orange colour scheme – and the background is a mountain top set against a violet and blue sky – a fantasy mountain-scape. The games at Spin and Win Casino come highly recommended and it is no surprise since they have been taken from the best. Players will have a wide choice among online slots, scratch cards, roulette, table games and progressive games. If you love slots, then Spin and Win is a good destination to go. Monopoly, The Murphy’s, The Osbourne’s, Dog Casher, Mermaids Millions, Lord of the Rings, Funky Chicken, Mega Moolah, Wheel of Fortune, Cleopatra, Win Big Shindig and Big Kahuna are just some of the many top brand slots that you’ll find. Progressive jackpot slot games are also available in the shape of Lord of the Rings, Mega Moolah, Mega Cleopatra and Mega Cluedo. 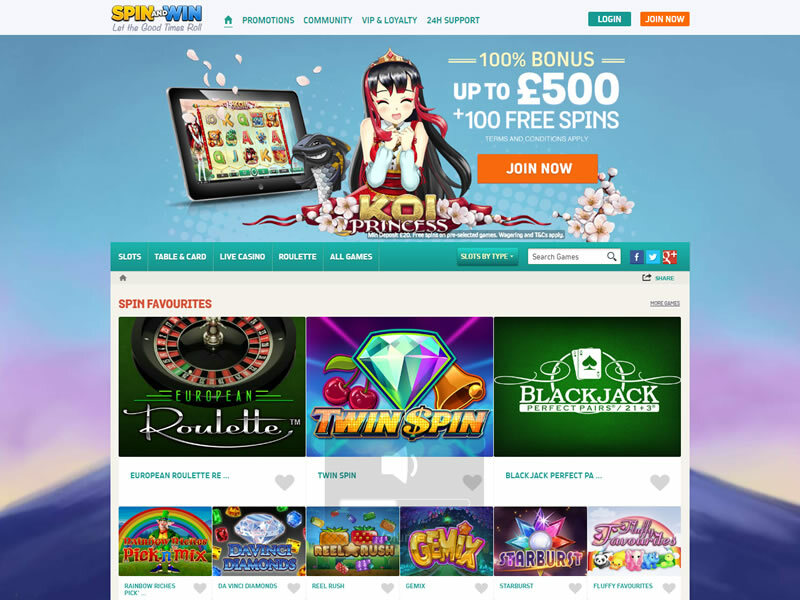 Spin and Win online casino recently went mobile which means that players can now enjoy their favourite games at anytime and anywhere on the go from a wide variety of devices. Mobile gaming is on the rise and Spin and Win wanted to be amongst the first to offer players the possibility to play wherever and whenever they wished to do so. Overall, Spin and Win is a winner. The home page opens in a bright and breezy way and you just know from the start that you are going to have a lot of fun here. 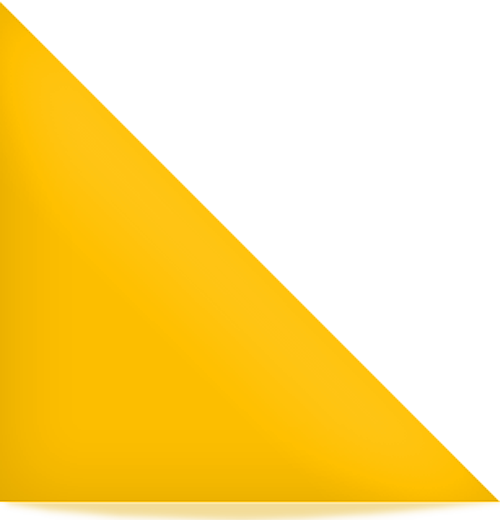 The 3D World element is most likely to grab your attention right away, but it is far from the only thing worth looking at. Expect a second to none support from true professionals and have received rave reviews. The online casino is proud to provide players with 24/7 support from a team of professionals who are extremely knowledgeable about all aspects of the casino and gaming in general. They can be contacted via Toll Free Phone, email and live chat. Summing up with the number of top-quality gaming sites around now makes it extremely difficult for a new one to stand out from the crowd. Spin and Win does this with ease and we are pretty sure that once you start playing, you will end up coming back to the site a lot in the future. Join Spin and Win and get a £500 bonus! Bonus on first 3 deposits of min £20 each; spins on selected games. Wagering and Further T&Cs Apply.